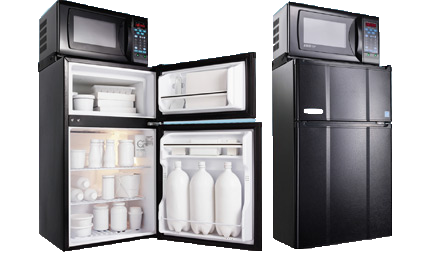 Colleges and universities have partnered with Standards For Living for years in order to provide their students easy access to the ultimate dorm room accessory, the MicroFridge. This unique, high-quality product combines a refrigerator, a O° freezer, and a microwave oven into a single Energy Star rated appliance. A patented energy management system and innovative safety features makes MicroFridge the preferred combination appliance for schools across the country.